WICKLOW TOWN Council will take over the management of the contract to restore the Murrough to its former beauty. The appearance of the scenic area following works on the Wicklow Sewerage Scheme and Port Access Road has caused plenty of local criticism. PLANS HAVE been lodged with Clare County Council to convert a derelict €400,000 toilet in Lahinch into a mixed-use development of shops and apartments. John Galvin of Galvin Construction has lodged plans with the council to convert the derelict premises, overlooking Lahinch bay, into two shops and three apartments. The plan involves demolishing the property, known locally as the “old toilets” at the Co Clare resort. At an auction at the Old Ground Hotel in June 2008 – three months before the global financial crisis – Mr Galvin paid the council €400,000 for the property. North Clare councillor Martin Conway (FG) said yesterday: “I’m glad to see something finally happening at this site two years after it was purchased. At the auction almost two years ago, auctioneer, David Costelloe described the site “as a most unusual property and one that rarely comes on the market”. “It is a cracking site, located in heart of Lahinch and on the doorsteps of the Atlantic Ocean and Lahinch beach”. Mr Galvin said he had not yet decided what plans he had for the site. The money from the sale was to be directed towards the provision of facilities for surfers at Lahinch and the upgrading of Lahinch promenade. THE CARLOW county manager has denied any planning irregularities at the council after it emerged that it is to be investigated by the Department of the Environment. It is one of a number of councils where planning issues will be examined in a review process being set up by the department in the coming weeks. The move was sparked by an official audit of the council by the Department of the Environment’s local government audit service as well as complaints received by the department about planning at the council. Among the issues raised by the 2008 audit which was given to the county manager last month were: corporate governance issues within the planning department; the use of special development contributions; planning time being extended at quarries; planning enforcement and safeguarding assets. It also looked at planning issues relating to the main drainage scheme in Carlow. County manager Tom Barry yesterday said he was “quite comfortable” with the contents of the audit. Mr Barry also denied that there were planning irregularities at the council. He accepted that the council needed to pay attention to the corporate governance concerns. The council had responded by completely reviewing best practice and compliance of corporate governance standards, he said. A settled High Court action which has caused financial difficulties for the council was one of the main issues examined by the audit report, he said. Mr Barry accepted that the case had caused cash-flow problems but said they were ones the council could manage. The 2008 case concerned a tiny parcel of land which was not owned by the council but was needed to finish the Carlow eastern bypass. The settlement was more than €11 million, according to the audit. This left the council €3.5 million out of pocket with the rest being made up by future development agreements. Mr Barry said he was “aware of” complaints to the Department of the Environment concerning planning at the county. Carlow Green TD and Minister for Equality Mary White said that when she was a councillor, she had been contacted by constituents who had concerns about planning irregularities, such as planning guidelines not being enforced and planning permission being granted on flood-plains. Mr Barry said he was aware of the observations as referred to by Ms White but was “satisfied that decisions complied with policies”. Ms White said she was “relieved” that the investigation was being launched. She wanted to see an “open, fair and transparent” planning system in her country. The review was “in the best interest” of the Carlow people and in the interests of Carlow County Council’s integrity. Ms White was a member of Carlow County Council up until 2007. The audit report is due to be discussed at a meeting of the county council in two weeks’ time. THE RAILWAY Procurement Agency (RPA) plans to change the route of the proposed Lucan Luas line, but said it does not intend to reopen public consultation on the project. Plans for the line, which would run from Lucan in west Dublin to the city centre, were originally put out to public consultation in late 2007. The RPA received a record 2,300 submissions from the public, greater than the response for the entire Metro North project. The preferred route which emerged from this process was announced in October 2008. From College Green in the city centre, the 15km “Line F” would head west along Dame Street to Christchurch before joining the existing Red Line at Fatima. It would then continue along the Grand Canal before turning right on Kylemore Road and heading towards Ballyfermot and out of the city towards Lucan. In a letter sent to residents in Inchicore, the RPA said it now plans to change the route so that the Luas line could link up with the proposed final stop of the Dart Underground line. In the letter, the RPA said that at the time the original Lucan Luas selection process took place, the Dart Underground route was to end at Heuston Station. Iarnród Éireann subsequently decided to extend the line to Inchicore. The RPA and Iarnród Éireann have been working for a number of months to identify a way to provide a “viable interchange” between the two lines, the letter said. The proposed solution involves taking the line away from the canal and routing it through industrial lands east of Inchicore Village to meet the planned Dart station. A spokesman for the RPA said two information meetings would be held this week – at Liffey Gaels GAA Club, Ballyfermot, from 6pm to 9pm tonight, and at the Oblate Hall, Inchicore, at the same time tomorrow. The RPA intends to seek a Railway Order, planning permission to construct the line, from An Bord Pleanála next year. When the preferred route was announced in October 2008, the RPA said it would seek a Railway Order in 2010. The spokesman said there would “not be any significant delay” in development as a result of the route change. No date for its construction has been set. Inchicore on Track, a residents’ group which had been critical of a lack of consultation from Iarnród Éireann in relation to the site of the Dart Underground station, said it wanted public consultation on the route change. “This route change might be a no-brainer, and it seems logical, but what if we don’t agree with it?” asked group representative John Beck. DUBLIN’S NEWEST Dart station was opened yesterday by Minister for Transport Noel Dempsey at Clongriffin, North Dublin. Construction of the €22 million station was a condition of the planning permissions for the Clongriffin and Coast housing developments. Approximately 65 per cent of the cost was borne by Gannon Homes, builders of Clongriffin with the remainder funded by Coast developers Helsingor. Iarnród Éireann, which was responsible for the design and running of the station said it will take just 17 minutes to reach the city centre by Dart from Clongriffin, with 63 trains a day serving the station. Clongriffin, on the border of Fingal and Dublin city was initially planned as a new “north fringe” town to have a population of 30,000 to 40,000, and facilities such as a cinema, department store, supermarket, and other facilities. The eventual population has now been revised to about 25,000. So far about 4,000 homes have been built, a large number of which remain for sale. Few of the retail units are occupied, although a Centra store, off-licence, Chinese restaurant and a pharmacy have opened. The development of the new town has suffered as a result of the property collapse. But the developers hope the opening of the new station will give fresh impetus to sales. The station will also serve the existing communities of Baldoyle and Donaghmede and a park and ride facility with 400 spaces for commuters has been provided. Local Labour councillor Seán Kenny said residents of a neighbouring development could not get to the station because developer Stanley Holdings was leaving roads unfinished. “It is regrettable that commuters in nearby Belmayne will be unable to access Clongriffin directly, due to the foot-dragging delays by Coalport and Stanley Holdings in completing the Priory Hall Road and the connecting Main Street, Belmayne” he said. Speaking at the station opening Mr Dempsey said its development was an example of a successful public private partnership scheme. RTE has been given the green light to redevelop its Dublin 4 campus and build a €350m state-of-the-art complex designed for the digital and high-definition age. Dublin City Council has granted planning permission for building works on the 31-acre Montrose site, which will result in the demolition of the television building and radio centre. The broadcaster plans to redevelop the campus over a 10- to 15-year period, removing most of the 1960s and 1970s buildings and replacing them with a new 46,500 sq m complex. 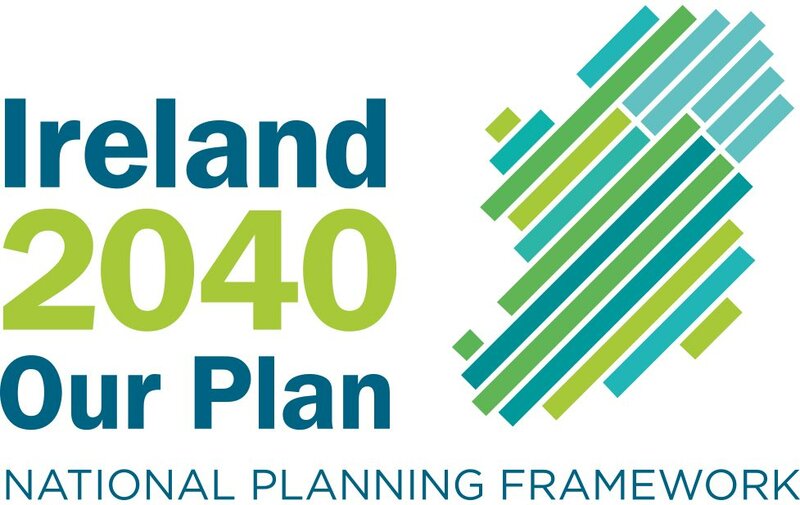 The so-called 'Project 2025' has been on the drawing board since 2002 and will be carried out over five phases, assuming An Bord Pleanala does not overturn the decision. The development is needed because RTE must invest in new digital broadcast production and transmission facilities, but it says it cannot house the new technologies in the existing buildings because they are unsuitable. Interested parties now have four weeks to raise any objections with An Bord Pleanala, which can then review the planning permission. The Ailesbury Road Residents' Association is among the objectors that could decide to send the decision to the planning appeals board. Concerns have been raised about the impact the development would have on the privacy and amenity of local residents. Yesterday's planning permission includes a number of conditions that address some of those concerns, such as an instruction to lower the height of a new wall on the Stillorgan dual carriageway. Construction traffic has also been banned from entering the work site through the plush Ailesbury Road and Ailesbury Close, and must instead use the N11. RTE also has to meet a number of architectural conditions, and work on the site must finish at 6pm on weekdays and 2pm on Saturdays, with no work on Sundays or public holidays, barring "exceptional circumstances". If approved, work will first begin on new high-definition digital TV and radio studios, including a new studio for the 'The Late Late Show' which will be able to hold 800 people-- twice the capacity of the existing facility. "Some of those studios are creaking already, but the work mightn't begin until this time next year, depending on the planning process," one RTE source said. The project will be financed through cash reserves and bank loans, and the cash-strapped national broadcaster has insisted licence-fee income will not be used. The full plans for the Montrose redevelopment include an auditorium for RTE's orchestras and local groups, as well as new production areas, rehearsal areas, performance spaces and staff offices. RTE is also considering letting some of its new space on the commercial market, though it has ruled out selling any of the development. Buildings will rise to a maximum of six storeys on the Stillorgan dual carriageway side of the site, where a new entrance is also planned. When the construction site is in full flow, it is expected that it will employ around 670 workers. "RTE welcomes the decision as an important step in its plans to ensure Irish licence fee payers continue to receive the best quality TV, radio and online services over the next 20-30 years," RTE's spokesman said yesterday. THE European Commission has been asked to prevent Bord Pleanála allowing a company more time to make its case for the development of two major incinerators in Cork harbour. CHASE (Cork Harbour Alliance for a Safe Environment) has lodged a complaint with the commission after the planning appeals board granted a further extension to Indaver to present its case for the development of toxic and municipal incinerators in Ringaskiddy. CHASE spokeswoman Linda Fitzpatrick said they had submitted "that the perpetual granting of extensions in place of a decision constitutes unfair procedures". An Bord Pleanála held a hearing into the development of the incinerators in April 2009. CHASE contends that Bord Pleanála has postponed its decision on too many occasions since to allow Indaver time to provide extra information requested. "Where material submitted by a developer is inadequate it should be ruled invalid and a decision issued on that basis," Ms Fitzpatrick said. She said the group’s latest submission to the European Commission was in addition to an existing complaint it had made regarding Ireland’s inadequate compliance with Environmental Impact Assessment procedures, on the grounds that it constitutes a fundamentally unfair and illegitimate procedure. "The neverending facilitation of the developer (Indaver) is in breach of Irish and European requirements for fair procedures, and so we have referred it to the European Commission which is currently considering our existing complaint. Indaver cannot legitimately be given open-ended opportunity to get their proposal right. Any competent company worth their salt would have a correct proposal in on day one, with minimal need for clarification," Ms Fitzpatrick said. Indaver have been granted an extension until August 3 to submit further details on flooding and coastal erosion mitigation measures. Indaver managing director John Ahern said it wasn’t his firm’s fault as Indaver was only complying with a request for a "considerable amount" of further information from Bord Pleanála. "They (CHASE) are free to make a complaint, but this kind of thing takes time. That’s the process," Mr Ahern said. PLANNING is expected to be granted today for three bridges over the River Lee to help kick-start one of the state’s most ambitious regeneration projects. An Bord Pleanála is expected to give the green light for the bridges – one of which will be the largest swing bridge in Europe – as well as the development of several major roads to facilitate the multibillion-euro revamp of the city’s 166-hectare docklands. The decision comes almost two years after Cork City Council submitted its plans for the iconic Eastern Gateway bridge, linking Tivoli and the south docks, the Water Street bridge and the so-called spine roads, including Centre Park Road and Monaghan Road. The board held three oral hearings in December after the Port of Cork objected to certain aspects of the bridge plans. The city’s Lord Mayor, Dara Murphy, said he understands today’s decision will be positive. "The time has come now for the Government to fully back this major infrastructural project, which is not just critical for the greater Metropolitan Cork region but for the country as a whole. We don’t expect a cheque this year but we must be looking at this over the next three to five years as the country moves out of recession." An economic study on the benefits of Government investment in public infrastructure in Cork Docklands showed that the regeneration could create 15,000 jobs and generate €610m per annum for the greater Cork metropolitan region. Most of the infrastructure was priced several years ago – the Eastern Gateway Bridge had a price tag of €80m – and it is hoped that certain savings could be made. Several major docklands planning applications have been lodged recently, including for the redevelopment of the R&H Hall site and the Topaz site. It is hoped securing planning permission for the public infrastructure today will give certainty to landowners considering projects. City manager Joe Gavin said about 20% of what is planned for the docklands can proceed without the infrastructure, but credit must begin to flow again. He said despite the current economic conditions, planning applications are still being processed so that projects are ready to go when the economy picks up. Vincent Salafia said the groups would protest at a Unesco meeting in Brazil this summer over Ireland’s treatment of heritage sites. "We support the nomination of the Hill of Tara as a world heritage site, but only on condition that measures are taken to mitigate the damage caused by the M3," he said. "The proposal for the N2 Slane Bypass is in direct contravention of Unesco’s instructions, to limit development ‘in and around’ the site. "We are also going to demand that Ireland is forced to amend the National Monuments Act, since the current act does not give adequate protection for anyworld heritage site in Ireland." The Government’s so-called "tentative list" includes Georgian Dublin, known as the Historic City of Dublin; extensive Stone Age settlements on the Ceide Fields in north-west Mayo; the Burren, Co Clare; the monastic city of Clonmacnoise; western stone forts including Dún Aonghusa in Aran; early medieval monastic sites Durrow, Glendalough, Inis Cealtra, Kells and Monasterboice. Also included is the already nominated Clonmacnoise; and the royal sites such as Tara, Cashel, Dún Ailinne, Hill of Uisneach and the Rathcroghan complex. Mr Gormley, who announced the shortlist, said: "Our heritage properties areour legacy, not just in Ireland but globally." Ireland already has three Unesco sites – the Giant’s Causeway in Co Antrim, listed in 1986; the Newgrange-Brú na Bóinne complex, protected in 1993; and Skellig Michael off Co Kerry, included in 1996. In the Government’s nomination it states the royal sites, such as Tara, are "unique expressions of Irish society". It describes them as places of royal inauguration, ceremony and assembly representing each of the five provinces of ancient Ireland. "The sites are also significant as symbols of indigenous Irish culture and identity directly associated with politics and power in Ireland through theages, stretching from pre-colonial kingship to early political mobilisation in the 20th century," it added. Save Newgrange and Tara Watch plan to make presentations to Unesco officials on the road works around the sites when the World Heritage Committee meets from July 25 to August 3 in Brasilia. WE MIGHT be deep in recession but Fingal County Council isn’t letting that stop it bandying about words like “upturn” and “success” and “positive growth”. In a smorgasbord of optimism worthy of the height of the boom days, the Draft Fingal Development Plan 2011-2017 was launched at a conference organised by Keith Simpson and Associates with a bullish title – Fingal: delivering success for the Dublin region. The conference looked at the role of strategic planning and economic and market stimulus in achieving current and future success. Themes included: how can we capture the potential of the Dublin region and convert that to tangible benefits for the place and community? ; and capturing success – the key role of promoting innovation and enterprise as fundamental to future growth. Speakers included the Minister for Education and Skills Mary Coughlan, who gave the opening address, and Dr William Hynes, director of strategic planning at Keith Simpson and Associates, and IAVI president Aine Myler who spoke on the “need for a new approach”. Strange, perhaps, that the Minister for Education and Skills was launching a draft development plan and not the Minister for the Environment John Gormley? More precise figures for vacant housing stock outside the Greater Dublin Area are needed to get the planning process back on track, the Royal Institute of the Architects of Ireland (RIAI) said yesterday. Although a number of reports have been published containing figures for the level of empty property around the country, the figures have a disparity of between 17 per cent and 47 per cent. The studies have been carried out by organisations including NUI Maynooth, Goodbody and UCD. There are believed to be between 352,414 and 301,682 vacant houses in Ireland. Estimates for holiday homes range between 49,789 and 73,476. DEVELOPERS IN the greater Ennis area are facing further writedowns in the value of land banks following Clare County Council’s move to “freeze” large tracts from development around the town. The council’s move is in response to concerns expressed by the Department of the Environment about overzoning in the Ennis and environs development plan, adopted last year. The department has pointed out to the council that there are 4,500 acres of zoned land around Ennis that would cater for a population increase of 100,000. The Ennis area has a population of 28,700; official forecasts state that there will be a population increase of only 6,300 to 2020. In a proposal put to the department and now agreed by members of Clare County Council and Ennis Town Council, the county council is proposing to phase development on lands zoned residential for development. The council has agreed to overhaul its development plan after the department warned that if it did not address the overzoning, Minister for the Environment John Gormley would be forced to direct the council to make the necessary changes to the adopted plan with immediate effect. Documentation and maps circulated to councillors show that the council has decided to phase the development of housing into three phases, rather than dezone sites from residential to “open countryside”. According to the proposal, Clare County Council will allow the development of lands contained in phase two following 75 per cent of lands in phase one being developed for residential housing. The council states that phase three will only be developed following 75 per cent of phase one and phase two being developed for residential purposes. The house market is stagnant in Ennis, however developers with land in phases two and three may not be able to develop for a number of years as they wait for housing applications to proceed in phase one. The phasing has emerged from a series of behind-closed-doors meetings of the councillors where the detail of the plan was worked out. The maps outline the areas at various locations around Ennis and in some instances, phase-one and phase-two designations are located adjacent each other. The council does not supply a rationale as to why some sites are outlined in designated phase one and others phase two. A large site at Woodstock on the western outskirts of Ennis is isolated in the open countryside, but will be developed in the first phase. Clare County Council is to publish the plans so as to invite submissions on its proposal from the department and the public before the issue goes back to the councillors. LETTERS FROM more than 400 residents of a north Mayo parish who claim that they are being subjected to “ongoing and escalating physical and psychological harassment” have been delivered to Shell EP Ireland. The 409 signed letters were presented by community representatives yesterday to Shell’s offices in Belmullet, Co Mayo. The lead Corrib gas developer is still working on a response to An Bord Pleanála in relation to its controversial onshore pipeline route, and has applied to the Department of the Environment for a foreshore licence to conduct further investigative work to this end. Glengad resident Eamon Ó Murchú, who co-ordinated the delivery of letters with Inver resident Terence Conway, told The Irish Times that the correspondence reflected the depth of feeling in the area about the project. “The letters were signed by people living all over Kilcommon parish, from Glengad to Pollathomas and Rossport – and from six people outside it,” he said. “Some are Shell to Sea and some are Pobal Chill Chomáin supporters and some are not aligned to any group. We didn’t canvass every one of the 2,000 residents in the parish. People approached us after we held a public meeting on the issue recently in Inver,” Mr Ó Murchú said. The community meeting in Inver on March 19th last debated Shell’s recent invitation to residents to engage in “face-to-face” or “small group” meetings in relation to the onshore pipeline route. Mr Ó Murchú said that those attending the meeting agreed they would not meet company representatives while Porturlin fisherman Pat O’Donnell is still in prison. O’Donnell is serving a seven-month sentence in Castlerea prison for Corrib gas protest-related offences. In the letters, residents state that they object to being “bombarded by Shell’s propaganda”. The residents single out for criticism the content of a recently published Corrib gas project community update, which includes a “feedback form”. The residents say that “seeking opinions on the Corrib project from those who live outside the danger zone is simply dishonest”. They also say they believe that returned forms would be “misused as a statistic in future promotional propaganda”. The company has until May 31st to respond to An Bord Pleanála, following the board’s direction last year that the current proposed pipeline route is “unacceptable” on safety grounds due to proximity to housing. Shell EP Ireland was unavailable for comment yesterday. The owner of the Marie Centra store at Barnhill Road, Dalkey, Co Dublin, has told a judge it will not use an eight-cabin extension for further trading pending a planning appeal. Dún Laoghaire-Rathdown County Council had asked Judge Jacqueline Linnane in the Circuit Court to direct Marie Ballyguile Ltd, which trades as Marie Centra, to remove what it described as an unauthorised development. Carol O’Farrell, counsel for the local authority, said the company had extended its store into its back yard by the linking up of eight cabins. Michael O’Donnell, for Marie Centra, said the company was prepared not to use the extended portion of the premises pending the determination of an appeal to be lodged with An Bord Pleanála. NAMA IS establishing a committee, consisting of professional planners and architects, to examine what should be done with “ghost” housing estates, Minister of State for Planning Ciarán Cuffe will tell planners today. It is understood from other sources that the committee will be chaired by former Fingal county manager Willie Soffe and that its membership will include Michael Wall, an architect, planner, barrister and former member of An Bord Pleanála. In his first major speech since taking office, Mr Cuffe will tell the Irish Planning Institute’s annual conference in Tullamore, Co Offaly, that a new group has been set up in the Department of the Environment to advise on uncompleted estates. “The work of the team will include assessment of the situation across the country, to be completed by the end of the summer. It will categorise, on a city and county basis: the overall numbers of housing developments, completed and occupied developments, units ready for sale, units near completion, units at specific earlier stages of construction, and units not started at all. “The group will also develop a practical manual by the end of the summer to be used in resolving sites and in ensuring that every local authority in the State has a proper strategy to deal with any uncompleted housing development in their area”, Mr Cuffe will say. Mr Cuffe will say he sees Nama as having a key role in this process as the toxic debts agency will be assuming the loans associated with many of these uncompleted developments, and that expert planners and architects “must be involved at the outset”. Labour leader Eamonn Gilmore said he did not favour bulldozing unfinished properties, as has been suggested by the chief executive of Nama, Brendan McDonagh. “I think we should try now to find a use for buildings that were put up and which nobody is in. We have a need in this country, for example, for sheltered housing for older people. The Labour Party has long argued, for example, that some of our emigrants, particularly people who emigrated to Britain in the 50s and 60s and who are living in lonely conditions . . . they might like to take the opportunity of coming back home. I think we should try to find some use for the empty estates,” he said, pointing out that there were 60,000 families on local authority housing waiting lists. He said confirmation by Nama’s chief executive that just a third of loans being acquired by Nama were generating interest payments was proof that Nama was a mistake. He said it now turned out the business plan they produced was not accurate. Meanwhile, when asked if he agreed that unfinished properties should now be demolished, the Fine Gael leader Enda Kenny said: “Well I’m not sure what specific ones Brendan McDonagh is speaking about”. Mr McDonagh’s comments showed the extent of recklessness and lack of scrutiny and regulation and accountability in relation to how loans were handed out in the first place, he said. But he warned the move from having no regulation at all to over-regulation now “could bring about a complete standstill to elements of the construction sector in general”. Housing agencies gave a mixed response yesterday to the suggestion by the head of Nama that the agency may be forced to consider knocking down unfinished housing developments. Respond, a not-for-profit housing agency, said knocking down such houses and estates should only be a “very last resort”. The organisation said it was “crucial” that a national audit of all so-called ghost estates and empty properties be conducted before demolition was even considered. Aoife Walsh of Respond said her organisation was receiving conflicting reports on how many empty properties are located throughout the State, with numbers ranging from 40,000 to 345,000. “It is vital we know exactly how many empty properties there are, where they are located, what condition they are in and what services and transport links are available in the surrounding area,” she said. AN TAISCE has made a formal complaint to the European Commission that plans for a highway between Dublin and Derry involve a “transboundary breach” of the EU’s directive requiring strategic environmental assessment (SEA) of major projects. It also claims that the directive is being breached by the National Roads Authority (NRA) in pursuing plans for more motorways and dual-carriageways and seeks “compliance action” on an alleged breach of the Habitats Directive by the planned New Ross bypass in Co Wexford. Describing this bypass as “the largest single intervention in an area of sensitive ecology and landscape”, the complaint notes that it would include a high-level bridge 4km south of New Ross in place of an original, more modest route immediately adjacent to the town. The bridge “cuts through the hill at Camlin on the Co Wexford side and passes over the river Barrow, candidate Special Area of Conservation (SAC), to the Pink Rock in Co Kilkenny within sight of the area around the President John F Kennedy family farmstead at Dunganstown”. It notes that a legal challenge to An Bord Pleanála’s approval of this scheme failed in the High Court on March 2nd and says the judgment of Mr Justice Hedigan failed to have regard to the review terms of the EU directive on environmental impact assessment. An Taisce claims the NRA “has been given virtually autonomous legal status by the Irish Government to plan, seek consents for and funding for motorway/dual-carriageway schemes, both contained in the National Development Plan and even not”. These included the Atlantic motorway/dual-carriageway from Letterkenny, Co Donegal, running via Sligo, Knock airport, Tuam, Ennis, Limerick, Mallow, Cork and Waterford, connecting with the New Ross bypass, with a new N30 link to the N11 bypassing Clonroche, Co Wexford. Further sections of the N11 and N2 were to be upgraded to motorway standard. “As in the case of New Ross, a genuinely needed bypass is being used as the pretext for constructing massive inter-regional motorways or dual-carriageways”, An Taisce says. In a letter to EU environment commissioner Janez Potocnik, it notes that Co Meath alone would have four motorways running through it. “The Irish Government is also already committed to making extensive contribution to a new dual-carriageway running through Northern Ireland from the Monaghan border to Derry and the upgrading of the Belfast-Larne link,” An Taisce writes. “The NRA is at advanced contract negotiation for the 80km Tuam to Crusheen sections of the Atlantic Corridor, and the New Ross bypass” it says, adding that plans for the M20 Limerick-Mallow-Cork section had been lodged with Bord Pleanála along with the Cork to Killarney N21. Rather than scaling down schemes to reflect the lack of exchequer funding, the NRA and Minister for Transport Noel Dempsey were “actively working on a mechanism to subvert Government borrowing limits in finding a means to proceed with the road programme”. This was to be achieved through either public-private partnerships (PPPs), “the plundering of the National Pension Reserve Fund or some sort of special dispensation from the European Central Bank through the European Investment Bank . . . The energy and resources being devoted to proceeding and securing funding for these road schemes and the secrecy with which it is being conducted and the lack of media or public awareness of the issues is astonishing”, it says. Proceeding would “create a debt mountain for the next generation on top of that already incurred through the Irish banking and property collapse . . . at a time when the decarbonisation of power generation and transport ought to be the greatest priority”. 'Dragons' Den' veteran Niall O'Farrell has been given the thumbs-up by An Bord Pleanála for a mixed-use development of shops and offices at Main Street in Blanchardstown village in west Dublin. The application was approved subject to minor conditions, after it was appealed by parties including O'Farrell. O'Farrell is best-known for his involvement in the Black Tie chain of formalwear shops. Dublin City Council has told Siptu it will have to submit further justification for the demolition of Liberty Hall, even though it is not a protected structure. The council has said the union will have to submit a more detailed analysis of the contribution the building has made, as well as a "more detailed exploration, including financial and economic appraisal of proposed alternative uses of the existing Liberty Hall tower, to include detailed appraisal of possible refurbishment". DUBLIN City Council faces a lengthy battle to shut down the numerous illegal car parks that have sprung up across the city. Officials probing the rise of parking facilities offered to motorists without planning permission have identified 21 separate operations, all of which are now being targeted by enforcement officers. But it is feared that those who own the businesses could simply use the planning system in order to hold up any proceedings designed to shut them down. The car parks identified during a five-week investigation are scattered across the city, and include the former veterinary college in Ballsbridge; Hawkins House, adjacent to the Department of Health; the former Fingal council offices on O'Connell Street; and Connolly Station. Each site is at various stages of the enforcement process under which the council attempts to put an end to their illegitimate trade. These include warning letters and enforcement notices. However, Labour councillor Killian Forde, head of Dublin City Council's Finance Strategic Policy Committee, explained that putting an end to such businesses can prove difficult. "The car parks are illegal in the sense that they don't have planning permission, so what happens is that someone in planning enforcement will send a letter to the owners of the land according to the land registry, who may or may not be the right people," he said. "That can take a few weeks, and when they get the right person [that person] can challenge [the letter] on the legal interpretation. "On top of that they can apply for retention. Cases have taken up to nine years [to resolve]." The proposed scaling back of the regeneration plan for Limerick city has provoked an angry response from opposition parties. “[People] were led to believe that the regeneration process would deliver real improvements in their physical and social environments. Instead what [they] are experiencing is a deterioration of the environment they are living in,” said Labour's Limerick East TD Jan O’Sullivan. A revised redevelopment programme drawn up by the Limerick Regeneration Agencies proposes for an investment of €924 million, instead of the €1.6 billion originally proposed. It also extends the period of implementation by five years to a total of 15 years. “All we have seen from Fianna Fáil since the regeneration process was launched three years ago is backtracking and broken promises. Residents feel let down and are rapidly losing belief,” he added. The scheme was reformulated due to a lack of Exchequer and private sector funding following the economic downturn. This has resulted in a number of the more ambitious proposals, including a new train station and town centre in the Moyross estate, being omitted. The demolition of 3,000 homes and their replacement with 2,400 new units may also be revised as the draft proposal suggests that existing properties may be refurbished instead. Limerick Regeneration Agencies, who put forward the new proposal, claim phase one will create 4,500 jobs and could provide €109.2 million of employment revenue. The new draft proposal is made up of three stages. The first runs between July 2010 to December 2014 and is made up of 24 projects including the building of two roads in Moyross and Southill estates and a number of housing schemes. Phase two, which includes the construction of a Garda station and sports centre, will commence in 2015 and run for five years. The final stage of the development aims to attract private funding and will run until 2020. WEAKNESSES IN local government in the Limerick region could derail the Government’s multimillion-euro scheme to regenerate the city’s most deprived estates, the project’s author has warned. John Fitzgerald, chairman of the Limerick Regeneration Agencies, said yesterday he was concerned that a promised review of local government may not be concluded in time to help deliver the updated regeneration strategy. “It was always envisaged the Limerick Regeneration Agencies would have five years to show what could be done and by then the review would be complete and we’d have a stronger and better resourced local authority to take over . . . I am concerned at the lack of progress,” said Mr Fitzgerald, who drew up the first report in 2007 advocating regeneration. The estates in the regeneration plan – Moyross, Southill, St Mary’s Park and Ballinacurra Weston – straddle Limerick County Council and City Council complicating the task of co-ordinating a project that involves other state agencies such as the HSE and Garda. A committee has recently been appointed to investigate the possibility of creating a unified local authority to create more effective local government. It is not clear though when its report will be published or if any changes that are proposed will be implemented in time to promote regeneration. In an interview with The Irish Times, Mr Fitzgerald said the Government would have to consider setting up an alternative structure to advance regeneration because the existing local authorities may not have the right skills. He said this was a critical issue because Limerick Regeneration Agencies, which is co-ordinating many of the social initiatives currently taking place, was set up with a five-year lifespan. He said it was unclear whether local government would have the capacity and skills to take ownership of the regeneration process by 2013. Mr Fitzgerald, who is a former manager of Dublin City Council, said a new system such as the one created to spearhead the Ballymun Regeneration scheme may be the best option. Despite his concerns over the weak local government structures in Limerick, he expected the Government would give the green light for the agencies’ revised regeneration plan for Limerick. The updated plan was tabled following concerns over the Government’s ability to meet the €1.6 billion price tag for the project. This new proposal calls for €924 million public investment over 15 years, rather than 10 years, to build hundreds of new homes, roads and other amenities in the four deprived estates. “If we don’t get a commitment then we would have a serious credibility problem and a lot of the gains we’ve made up to now would be lost,” said Mr Fitzgerald. Limerick Regeneration Agencies will forward the updated plan to Government this week. Fine Gael TD Kieran O’Donnell said yesterday the Government should sign off on the new plan. “Residents feel let down and are rapidly losing belief. All they have seen to date is the demolition of 400 houses, with not one new home built,” he said. Labour TD Jan O’Sullivan said the time for “prevarication and procrastination is long gone”. A REVISED plan for the regeneration of Limerick has gone to Government and will be considered by Ministers next week. Their decision on the investment programme is likely to shape public opinion, not just in Limerick, but in the broader community for years to come. Since the economic downturn, the Government’s primary focus has been on rescuing banks and financial institutions. Now, it has an opportunity to rescue under-privileged families that have been on the receiving end of official neglect. The reaction of Ministers and their concern for ordinary people will be closely monitored. Ministers will probably be advised that the money needed to give hope and a viable future to the communities of Moyross, Southill, St Mary’s Park and Ballinacurra Weston estates is desperately needed elsewhere. Of course it is. The inescapable reality is that the Government is strapped for cash. In spite of that, the revised Limerick regeneration programme should be fully funded. Apart from providing vital local employment, the scheme can become the symbol for a newly rejuvenated Ireland that cares sufficiently about social cohesion to invest in the future of struggling families. As a State, we have an appalling planning record. We can now begin to change that situation. A revival in economic growth is predicted for later this year. Hand-in-hand with that prospect should go the redevelopment of Limerick. Positive decisions taken next week will not immediately cost money. There will be a lead-in time. It is unlikely that any new homes can be completed this year, but it is vital that building contracts are entered into and new housing foundations laid in order to keep local negativity and frustration at bay. These families should not have to wait around for the return of economic prosperity. They should become part of the revival process. Some progress has been made in addressing crime, vandalism and the refurbishment of estates. The appointment of additional gardaí during the past two years brought about the jailing of high-profile, family-based, drug dealers. Anti-social activity declined. State and voluntary agencies began to co-operate in tackling social, health and educational problems. A new youth centre was completed. More than 400 burnt-out or derelict houses were demolished. But more needs to be done in building roads and community centres. These communities need to be reassured that the formal pledges given to end long- running official neglect will be kept. In launching that programme, President McAleese spoke of bringing hope and a better quality of life to the most damaged communities in the State. Make no mistake about it: the extent of official neglect towards these citizens should shame us all. The revised refurbishment and community development programme is now likely to take 15 rather than 10 years to complete. That is unfortunate. The most pressing need, however, is for the Government to provide immediate funding. A SOUTH Dublin couple have claimed before the High Court that construction works that will result in the heightening of the roof of a neighbouring property constitutes an unauthorised development and will result in their home being dwarfed by a taller building. Dominic and Kay Madden, Sandford Road, Ranelagh, say they are concerned ongoing building work will have a serious impact their family home, where they have lived for 20 years, and the streetscape. The claim that there has been any unauthorised development carried out is denied. The Maddens have brought proceedings against the owners of the house on Sandford Road: Elma Kinane and Grellan O’Kelly, Moyne Road, Ranelagh; Tony Mullen Architects, Marine Terrace, Dún Laoghaire, and builder Derek O’Hagen of D O’Hagen Construction, The Poplars, Monkstown Valley, Co Dublin. The Maddens argue that the current development is not in compliance with the planning permission and are seeking orders prohibiting the construction and development at the neighbouring property. they want it restored to its prior condition. They are also seeking orders prohibiting the respondents from taking steps to carry out the development, including the completion of construction of the premises such that its roof profile differs to that of neighbouring houses on either side. Mr Justice Bryan McMahon was informed yesterday that undertakings given by Mr O’Kelly and Ms Kinane were acceptable to all the parties, and the matter could be adjourned until later this month. DÚN LAOGHAIRE-Rathdown County Council bought properties from developers at a cost of €27.5 million. They were acquired under the Planning and Development Acts, which stipulates developers must provide 20 per cent of any residential development to local authorities for social and affordable housing. The 50 one-bed apartments, 52 two-beds and 15 three-beds are in eight developments in Sandyford, Stepaside, Dundrum, Dún Laoghaire, Rathfarnham and Leopardstown. Some 54 of the apartments are in one development, The Belfry, Enniskerry Road, Stepaside. The Gallops in Sandyford contains 23 of the properties and Belarmine Plaza, also on the Enniskerry Road in Stepaside, contains 21. The properties had all been offered to the 1,900 applicants on the affordable housing waiting list at prices from €132,000 to €180,000. They were discounted more than once to keep them 20 per cent cheaper than the open market. However there were no interested purchasers under the affordable housing scheme, which includes a claw-back penalty requiring buyers who sell their properties within 20 years to pay back a percentage of the profit. The council also carried out a random survey of more than 100 applicants on the waiting list to ascertain why they did not want to buy any of the properties. Some 20 per cent of applicants were no longer in a financial position to purchase or could not secure a mortgage, while 14 per cent thought the prices were too high. A further 14 per cent wanted houses instead of apartments and 11 per cent had already purchased privately. Director of housing at the council Charles McNamara has recommended that the properties be sold on the open market “subject to a reserve and with priority being given to first-time buyers”. He has not yet stipulated what that reserve would be. In a report to councillors to be debated at a meeting on Monday, Mr McNamara said it was that vital the council reduced the €27.5 million deficit incurred by the purchase of the properties. “A failure to address this issue will have significant implications for the delivery of the council’s ambitious programme of capital projects, which are dependent on the availability of match funding from the council,” he said. Other options considered by the council to deal with the unsold properties included introducing a let-to-buy scheme. This would allow potential purchasers to live in and rent properties for a period before deciding whether to buy them. However, at a meeting with the Department of the Environment last month, council officials were told that Dublin City Council had been approved for a let-to-buy pilot scheme. Until that scheme has been assessed by the department and considered successful, no other local authorities will be given permission to initiate such a scheme. The report also said voluntary housing bodies would not be in a position to purchase the unsold homes because the department had confirmed that no further funding would be made available to the voluntary sector under the Capital Loan and Subsidy Scheme. Should the council be unsuccessful in selling the properties on the open market, it may be given permission by the department to transfer some of them to social housing under the social housing leasing initiative. However this has disadvantages for the council; although it will receive rent, the scheme only lasts for five years and the council would have to bear the cost of repairs and redecoration of the properties once the lease period was finished. Councillors are due to debate the issue on Monday. PROPOSALS TO develop a new town at Cherrywood, south Dublin, are to be brought to Government within weeks, the Minister for Sustainable Transport and Planning has said. Green Party Minister Ciarán Cuffe said the proposals would ensure proper facilities would be developed side by side with homes and businesses at Cherrywood, a 361-hectare site between the M50 and the N11. He made his announcement before a controversial rezoning motion comes before Dún Laoghaire-Rathdown County Council today to reduce retail zoning at Cherrywood and increase it at Carrickmines, also off the M50. If the motion, tabled by six councillors, is passed, it will initiate a variation of the Dún Laoghaire-Rathdown County Council Development Plan. It will also countermand an order by Minister for the Environment John Gormley not to increase retail zoning at Carrickmines. Mr Cuffe said yesterday that developer-led zonings were running the danger of undermining millions of euros in infrastructure investment and the creation of thousands of new jobs over the next decade. He said the Strategic Development Zone (SDZ), the planning framework that will create the new town at Cherrywood, would provide the bedrock for sustainable economic development and job-creation. It would also allow for fast-tracked planning. Mr Cuffe said the new town, when fully developed over 10 years, would provide 12,500 homes and 18,000 jobs. He was concerned the SDZ would be undermined by the Carrickmines motion, on which councillors will vote today. “I have deep concerns that, because of the employment situation in Ireland at present, councillors and politicians are falling victim to the old claim of jobs being promised as long as a zoning takes place,” he said. Councillors have also come under pressure from the developers of both Carrickmines and Cherrywood, who wrote to them on Friday. The Carrickmines developer, Park Developments, has promised 800 jobs, a “guaranteed” anchor tenant as well as interest from other retailers should the motion be passed. The Cherrywood developer, Dunloe Ewart, has threatened legal proceedings should the motion be passed. It said it has already spent €28.6 million on infrastructure in Cherrywood. THE POOLBEG energy-from-waste (EfW) plant will produce 56 MW (megawatts) of electricity; enough for 80,000 homes and 20 per cent of Dublin’s household electricity needs. It will provide district heating for up to the equivalent of another 60,000 homes. It will enhance Irish waste management competition, and reduce householders’ waste disposal costs. It will help Ireland meet its renewable energy targets. Poolbeg will move Dublin away from over-dependence on landfill, currently the disposal method for about 60 per cent of the country’s waste. Landfill is the most environmentally damaging waste disposal method, and this is reflected in EU waste management policy. Since January 1st last, if Ireland does not substantially reduce its dependence on landfill, it becomes liable for fines that could run to millions of euro annually. Nevertheless, there is a high-profile campaign of opposition to this project, from the Irish Waste Management Association (IWMA) and from others with vested interests in maintaining the status quo. It is their unsubstantiated claim that the plant is too big. Let’s look at the facts. More than 700,000 tonnes of waste from the Dublin region alone are being landfilled annually (the figure was 735,000 tonnes in 2008), and large quantities of waste in other parts of the country are also being landfilled. There will be more than enough residual waste for Poolbeg, even when Dublin achieves its ambitious recycling target of 59 per cent. There were no objections from IWMA, or any of its members, at either of the two lengthy oral hearings (with An Bord Pleanála and the Environmental Protection Agency) that were held in relation to Poolbeg. Had it participated in those hearings, the IWMA would have had to substantiate its objections on the record, with facts to back up its claims. Covanta is the world’s largest EfW company, owning and/or operating 45 plants. Since 1983, we have constructed 21 plants similar to the Poolbeg facility, and have studied waste capacity issues for more than two decades. That experience and expertise satisfies us that 600,000 tonnes is the correct size for the Poolbeg plant. Bear in mind too that Covanta, a publicly quoted company in the US, answerable to its shareholders, has agreed to provide financing for the €350 million to build Poolbeg. Yes, we are putting our money where our mouth is! As for the criticism of the so-called put-or-pay clause requiring Dublin City Council to provide 320,000 tonnes of material (just over half of the facility’s capacity), the reality is that this public-private partnership (PPP) arrangement is standard procedure for dozens of similar projects throughout Europe. In fact, under the vast majority of PPP agreements for similar projects in the US and the UK, the public partner is required to supply closer to 100 per cent of the facility’s capacity. At Poolbeg, the private partner (Covanta) is responsible for obtaining waste for a significant portion of the facility’s capacity. In exchange, the citizens of the Dublin region receive significant benefits in the form of lower fees attainable through economies of scale. This arrangement will provide the best value for money for Dublin City Council and Dublin’s householders. Covanta, not the council, bears the risk of securing the remaining waste, a risk we would not willingly assume if we had doubts about the need for a 600,000 tonne-per-year facility. It has been suggested by some opponents of the Poolbeg EfW project that a plant sized at half the proposed capacity would be appropriate. Of course, the people who are making that suggestion are fully aware that any such alteration would require a new planning application, lead to further delays for the project and increased waste treatment costs, benefiting their self-serving interests to the detriment of the public interest. Covanta shares the concern of many in Ireland about the incredibly long time it takes to get major strategic infrastructural projects from the drawing board to being shovel-ready. We are finally at that stage with Poolbeg after 12 years in the preparation, competitive bidding, planning and permitting process. Along the way, all aspects of the project, including the PPP contract, the size of the plant and the environmental standards, have been rigorously assessed and approved by An Bord Pleanála, the EPA, the Department of the Environment and the Government’s National Development Finance Agency, which is charged with ensuring such projects represent good value for the taxpayer. Further, the recent report by ESRI, Ireland’s leading think tank, confirms the need for this plant at its current size. Engineers Ireland in its February 2010 infrastructure report endorsed the economies of scale provided by regional EfW projects such as Poolbeg. Irish taxpayers will also be aware of the significant problems that recently arose from under-sizing other vital infrastructural projects. This happened with the new sewage treatment plant, also on the Poolbeg peninsula, while upgrading the M50 motorway is now being completed at a cost of more than €1 billion. Work has now begun at the project site. Over the next three years, approximately 500 people will be employed in construction and, upon completion, permanent jobs will be created and local businesses will benefit both directly and indirectly from the economic activity associated with this project. In addition, a community gain fund will provide up to €20 million over the next 25 years for community projects in the local area. Almost all other EU countries, including the most environmentally advanced, such as the Netherlands, Belgium and the Scandinavian states, have decided that recycling, combined with thermal treatment and efficient energy recovery (EfW) for the residual waste, is the most effective and lowest-cost waste management strategy. The Poolbeg plant sees Dublin joining that league and abandoning excessive dependence on landfilling, recognised by the EU and countries around the world as the most environmentally damaging disposal option. This project represents an inward investment of €350 million in the Irish economy that will create substantial additional employment; assist Ireland in meeting its alternative energy goals; help Ireland meet its commitments to reduce the production of greenhouse gases, and solve its waste management issues, while reducing cost and minimising the imposition of financial penalties under the EU landfill directive of 1999. How can that be bad for Ireland? FINANCIER DERMOT Desmond has appealed to An Bord Pleanála against developer Seán Dunne’s plans to demolish and rebuild Hume House, a 1960s office block in Ballsbridge, Dublin. Mr Desmond, a Ballsbridge local who opposed Mr Dunne’s high-rise scheme for the former Jurys and Berkeley Court hotels, said the designs for Hume House were “ugly” and the proposed materials appeared to be chosen because they were cheap. The businessman is one of several appellants, including An Taisce and local residents associations, against the decision of Dublin City Council to grant permission for the offices which range in height up to nine storeys. Hume House was one of the high profile purchases made by Mr Dunne in 2005, including the hotel buildings now operating as D4 Hotels and supermarket. However, unlike the mixed use proposal for neighbouring hotels site, plans for which are before the city council for a second time, the plans for Hume House envisage a similar usage and scale as the existing building. In his submission to An Bord Pleanála, Mr Desmond describes the development as “an ugly insipid design that is reminiscent of poor 1960s Brutalist type architecture”. The facade treatment and the quality of the design are both “poor” and the materials detailed in the application “seem to be chosen for their cost effectiveness as opposed to their design interest”, he said. In their submissions, the Pembroke Road Association and the Lansdowne and District Residents’ Association both put forward the view that the application was being made so the property could be given the highest possible value by Nama. An Taisce submitted that the height of the proposed development was excessive. It states that while in terms of storeys the heights broadly match those of Hume House, the proposed building is significantly higher. An Bord Pleanála is due to make a decision on the application next July. LOCAL RESIDENTS around George’s Quay in south inner city Dublin have called on councillors to oppose plans for high-rise development in the area, which includes a 22-storey building at Tara Street rail station. 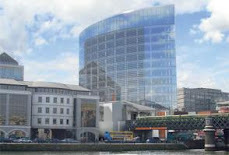 The George’s Quay plan is due to come before councillors in Dublin City Council today. It covers the area from Lombard Street to Hawkins Street, where the Department of Health building stands, and from the quays to Townsend Street and part of Pearse Street. It includes a 22- storey building at Tara Street and two 15-storey buildings on Gloucester Street beside the City Quay school and church. In February, An Bord Pleanála gave permission to Iarnród Éireann to redevelop Tara Street station, but only when its height was reduced from the 15 storeys sought to 12. It had said the 15- storey proposal “would be visually obtrusive”, would “adversely affect the setting of the Custom House” and would “unduly detract from the visual character and amenities of the city centre”. Resident John Augusta said locals were disappointed they were told nothing about the plan. Although the plan was put out for public consultation in 2008, he said residents did not see advertisements to that effect in the newspaper. Local Labour Party councillor Kevin Humphreys said there had been public consultation on the plan including a leaflet drop and a public meeting. Councillors, including Mr Humphreys, had approved the plan at a local area committee meeting in March. Nama may have found its first customer for the ghost estates across the country. Meath county council last week announced it would enter into lease agreements with property owners for social housing for between 10 and 20 years. The long-term certainty of income would be attractive to the toxic loan company but would also attract the attention of developers with empty units. The council said it would also be interested in buying a small number of two-, three- or four-bedroom houses for allocation to applicants on the social housing waiting list. However, it will not buy apartments, according to a tender on the e-tenders website. "Priority will be given to purchases of houses in areas of greatest need, including Navan, Ashbourne, Dunboyne, Laytown/ Bettystown, Stamullen, Dunshaughlin, Duleek, Kells, Trim, Slane, and Oldcastle," it said. The council said it will consider whether the proposed sale price reflects excellent value for money measured against current market valuations in the area as part of the process. Meanwhile, it emerged last week that up to 2,100 housing units assigned for affordable housing could be empty by the end of the year. Already 1,100 remain unsold and another 1,000 are coming on stream this year. The Dublin Docklands Development Authority (DDDA) gave contracts worth nearly €83,000 in 2008 and 2009 to a business without following public procurement guidelines. A report into the finance function of the DDDA by Ray King found there "was no documentation available in respect of one contract worth €75,000" which was awarded to the company. It was the only one of 37 contracts worth more than €50,000 given by the DDDA that did not comply with public procurement guidelines during the two-year period, the report states. The same business was also the beneficiary of a €7,275 contract. In that case, the report reveals, it was one of two of the 22 contracts reviewed that did not comply with guidelines. The business that benefited from the contract does not appear to be registered as a company or as a business trading name. The King report also criticised the awarding of pay increases in the authority, saying there was very little information or documentation in some cases. In general, the report states, there is one page showing the salary increase that has been approved, usually by then DDDA chief executive Paul Maloney. "This page on occasions contains a phrase or sentence explaining the reason for the increase in salary or car allowance but on other occasions contains no such information," it states. Later it states that "when you see the detailed documentation and information that appears on the personnel files when a new employee is engaged, the lack of information and documentation for increases in salary and car allowances is remarkable." DUBLIN City Council is attempting to issue a bond on the international markets in an attempt to fund several municipal projects around the capital. It would be the first time such a move has been made by an Irish local authority although several success stories of bond-funded development in other countries have been cited by its supporters. Council officials are now drawing up a wish list of social projects they would like to see funded, specifically looking towards the rejuvenation of social housing. Should the council receive the green light to issue such a bond, investors would essentially fund the various projects in return for interest repayments and an eventual return of their entire capital investment. It is understood that debts incurred through the bond would be met by the rent and sale of local authority properties. However, the project has already run into difficulties. Although initially told it had the authority to proceed, the council discovered that due to a recent amendment in the Local Government Act, any state agency wishing to issue a bond must now seek the permission of the Minister for Finance. "The bond would then be part of the national debt so I doubt they will allow us to do that," said Labour Cllr Killian Forde, who masterminded the move. "Each local authority had the ability to raise a bond and we are working off the assumption that we could still do that. "But we still want to do this." A TWO-DAY oral hearing is to be held into the proposal by Spanish energy giant Endesa to build a power plant at the former ESB generating station in Tarbert on the Shannon estuary in Co Kerry. The hearing into the 450MW natural-gas-fired combined cycle gas turbine is to take place on April 20th and 21st in Listowel, An Bord Pleanála has confirmed. In late 2009, the planning board deemed the project as “strategic infrastructure”, meaning the proposal goes straight to An Bord Pleanála for a decision, with the local authority, Kerry County Council, playing a consultative role. Three local authorities – Kerry, Limerick and Clare – are to be invited to make submissions to the hearing along with several environmental groups, including An Taisce, the Heritage Council, the National Parks and Wildlife Service and the Regional Fisheries Board. Other bodies notified include Fáilte Ireland and the National Roads Authority, as well as a number of Government departments. A decision on the proposal is due by the end of June this year. The plan by Endesa to replace the 40-year-old ESB power plant at Tarbert with a smaller, more environmentally friendly natural- gas-powered plant will create 500 jobs at the peak of construction, a meeting of Kerry County Council was told recently. There has been a broad welcome for the proposal for the plant, which is to be supplied by gas from a proposed liquefied natural gas (LNG) regasification plant and import terminal (also on the estuary near Tarbert) by the Hess corporation. This marks the area, which is largely owned by Shannon Development, as an energy hub. Separate oral hearings were also held into the LNG proposal, into the terminal and the pipeline proposal to link the terminal to the national gas grid network 26km away at Foynes. Both were approved. Both the LNG proposal and Endesa Ireland plant have been deemed to come under “strategic infrastructure” and are being fast-tracked to An Bord Pleanála. Endesa will apply separately to the council for the demolition of the existing generation plant within six months of the commissioning of the new plant on the 104- acre site, according to a report to a recent county council meeting by planning director Michael McMahon. Work had not yet started on the Hess LNG plant, as a foreshore licence is still awaited.